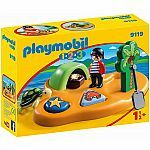 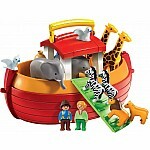 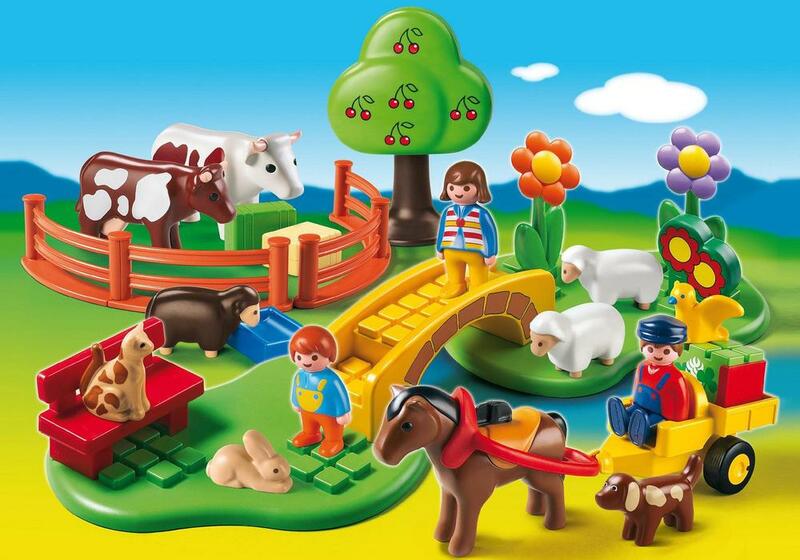 With its colorful, rounded pieces, the adorable Countryside set will provide toddlers with hours of fun. 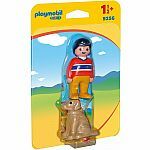 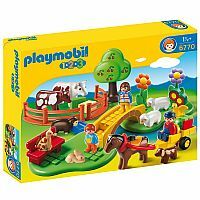 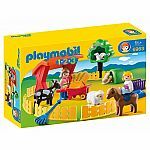 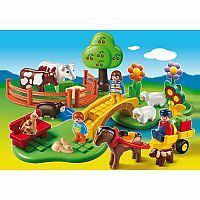 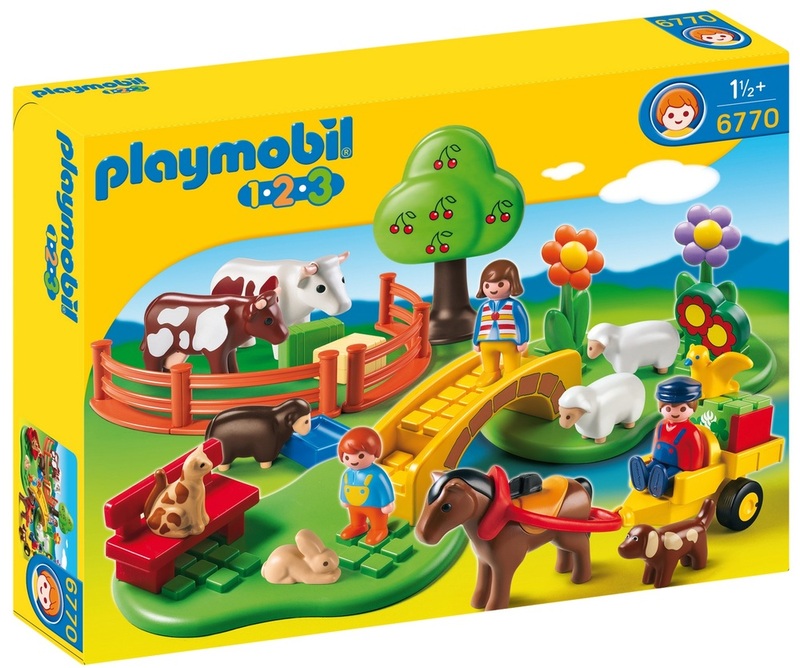 Set includes three figures, countryside landscape with a bridge, horse-drawn carriage, cows, sheep, kitten, rabbit, and many other accessories. Measures approximately: 16.00 x 12.00 x 3.00 inches..